The internet has transformed our access to business, education, and government services, directing us to computers when we need to find a job, do homework, or acquire information about public resources—yet millions of low-income households across the country still lack broadband internet access at home. Pew Research Center’s Internet and American Life Project reported in 2013 that 30% of US households were without broadband internet access. That percentage more than doubles in some low-income communities. For years, libraries have helped bridge the digital divide by offering internet access at brick-and-mortar branches. Many are expanding this mission by offering patrons mobile Wi-Fi hotspots for checkout. 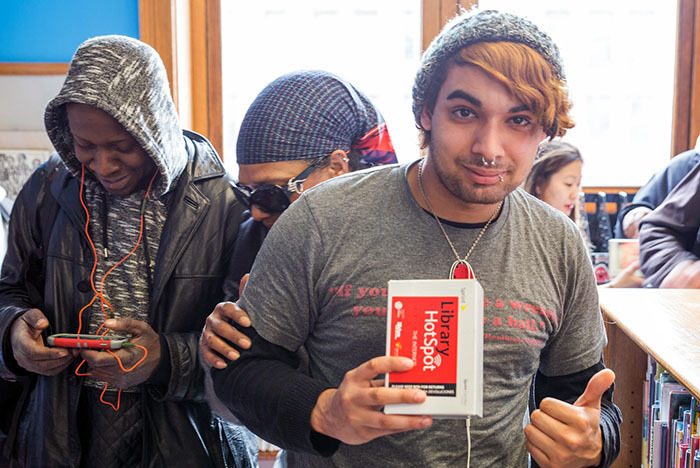 New York City launched a program this year that provides 10,000 mobile hotspots to patrons across three library systems, and in 2014, Chicago Public Library rolled out its “Internet to Go” pilot program with 100 mobile hotspots across six branches. KCPL is establishing its own pilot program this year to help students at two inner-city high schools. 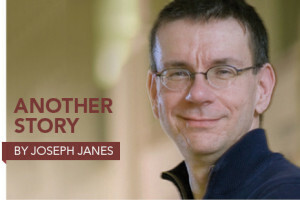 “The mission of the library is to be a doorway to knowledge for all; with this program, we hope to open the door for students and their families to be able to operate in today’s digital society,” Kositany-Buckner said when the program was announced in May. KCPL’s program was made possible through a grant from Mobile Beacon, a Rhode Island–based nonprofit that provides low-cost internet access and mobile hotspots for educational institutions. Alisson Walsh, Mobile Beacon’s communications and outreach manager, says her organization has been awarding grants to libraries for the past three years. This year’s awardees were KCPL and the rural Kitsap Regional Library in Bremerton, Washington, that serves a local American Indian community. Both library systems will receive 25 mobile hotspots, six months of free internet service and technical support, and 25 laptops, Walsh says. Mobile Beacon partners with K–12 schools, community colleges, nonprofits, and libraries, and is currently working with 80 libraries across the country on Wi-Fi lending. “Nobody knows lending better than libraries,” says Walsh. Mobile Beacon’s status as a national Educational Broadband Service—the only one working with public libraries—enables the nonprofit to offer its partners internet service through Sprint for $10 per month per device and mobile hotspot devices for $85–$150. The majority of Mobile Beacon’s clients purchase the service, according to Walsh. 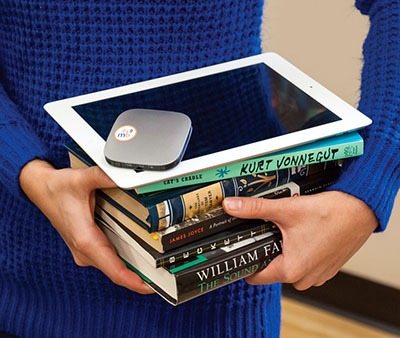 San Mateo County (Calif.) Library launched its “Bring the Internet Home” program in April, through a combination of state grant funding and 200 donated mobile hotspots through Mobile Beacon’s donation program. Walsh says many libraries start out small and then search for larger funding sources. “A great way to start is to get one device and test it and see if it fits your needs,” she says. New York City started out small in 2014 with 100 mobile hotspots after receiving Mobile Beacon’s pilot-program grant. This year, the library launched the nation’s most ambitious mobile hotspot lending program, dividing its 10,000 devices between the New York Public Library (NYPL), Queens Library, and Brooklyn Public Library. A 2013 report by the US Census Bureau shows that 27%—or 730,000—of households in New York City are still without broadband internet access. According to Charity Kittler, library hotspot program manager at NYPL, the project was funded through a $1 million grant from Google, $500,000 from the John S. and James L. Knight Foundation, and $250,000 each from the Robin Hood Foundation and the Open Society Foundations. Kittler says NYPL is also providing subgrants and support to 18 library systems in rural Kansas and six library systems in rural Maine as they roll out their projects. Libraries are just beginning to learn what works and what doesn’t with mobile Wi-Fi lending, and they are taking vastly different approaches when it comes to the amount of time patrons can borrow a device. While the three New York City systems exist on the same grant funding, each system has established different terms. Queens patrons can check out a mobile hotspot for a month at a time and renew three times; NYPL will lend a device for six months at a time with one renewal; and Brooklyn allows a hotspot to be checked out for a year. KCPL will be checking out hotspots to students and their families for an entire school year. TIMOTHY INKLEBARGER is a freelance writer based in Chicago.